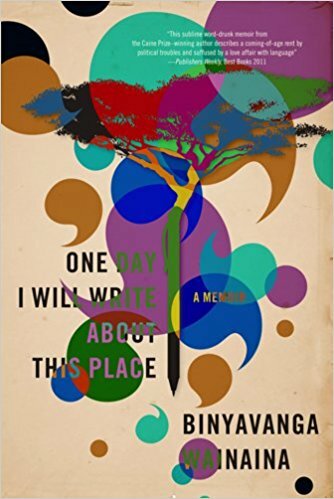 Kenyan Caine Prize winner Binyavanga Wainaina’s memoir about growing up in Kenya, his failed attempt at learning computer programming at university in South Africa, and the moving family reunion in Uganda years later. I listened to the audiobook, narrated by Ivanno Jeremiah, and I found it to be very easy to listen to as Jeremiah was an engaging narrator. While it generally has a linear narrative, every now and then a word or event will take the story back to Wainaina’s childhood or to something that happened that was related to the current anecdote but was either years in the past or the future. This hoping through time did get a bit of getting used to. This memoir spans decades, from Wainaina’s childhood in the 1970’s to him living and working in New York in the 2010. Through all that time you see through his eyes how Kenya, and the whole African continent itself, changes. The always shifting politics, the cultural changes, the various conflicts and how pop culture, both American and African, seep through into it all. I learnt a lot from listening to One Day I Will Write about this Place, as many of the cultural and political events that Wainaina lived through in East Africa, were either events that happened before I was born, or before I begun paying just that bit of attention to the world news. It amused me how Wainaina and his friends would joke about Bob Geldof and Live Aid, and event I’d only ever heard about through a Western perspective. While Wainaina lived through a lot of big historical moments, One Day I Will Write about this Place is at its heart about Wainaina’s family, his love of books and him learning to fins his place with ever changing Africa. Through a lot of his childhood and adolescence it seems like he doesn’t like his home and all the complications that come from being a part of various tribes. However, when he’s an adult and spent time away from his family, having his extended family reunite in Uganda is a big moment for him. One Day I Will Write about this Place is a fascinating insight into one man’s experiences growing up in East Africa, and who struggles to find his own identity. It’s an insightful and thought-provoking memoir that has a lot of heart. I hadn’t actually heard of this before, but I’m going to see if my library has it. It sounds like an interesting perspective to have, especially in relation to things like Live Aid. I really like the cover too!